What makes us distinctively singaporean? My friends were discussing one day and we all arrived at the simple answer: we love our food. But what then defines our food? Haha, i am in one of those patriotic moments, sorry. Anyway, what do you usually have for breakfast? Mine usually consists of bread but occasionally, my family will head to a coffee shop for our local favourites ( if time permits). This small coffee shop is en route to my work place. 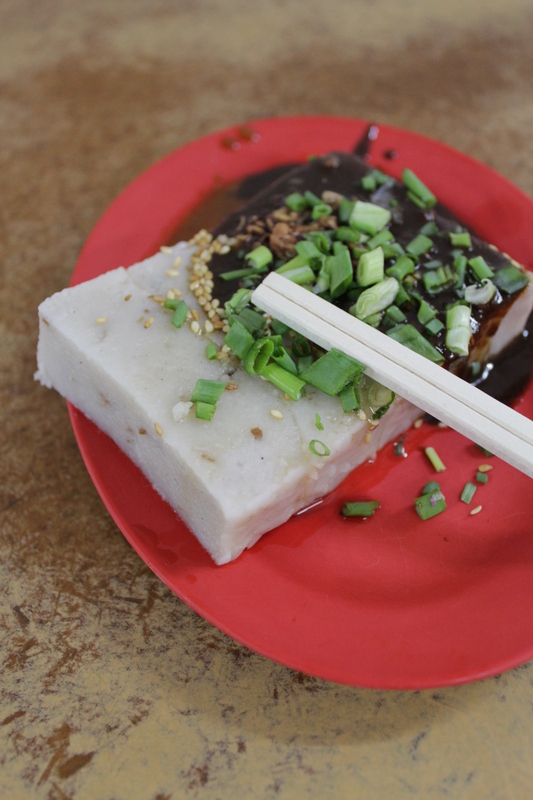 I don’t know when i started to love Steamed yam cake ( or kueh) but this is always the order i make. The auntie wasn’t very kind because she failed to follow my instructions about omitting the oil. The dish itself was average, with bits of dried shrimp ( hae bi) and lots of pepper. But it really lacks the flavour of yam, which is what I am really looking for. The best steamed yam cake i have ever had was at sicc. There were chunks of yam inside! 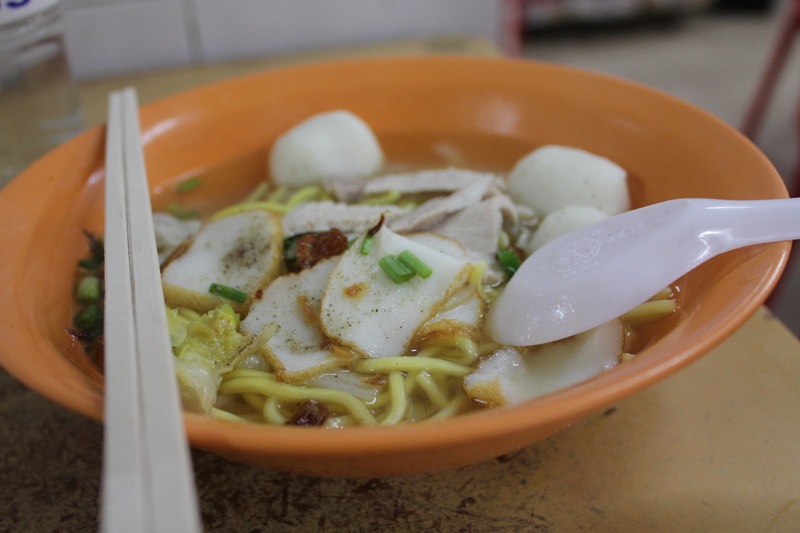 Dad usually orders mee rebus (it’s pretty good) but today he decided to eat fishball noodle soup. He happily slurped it up commenting that the soup was really comforting to drink in rainy weather. 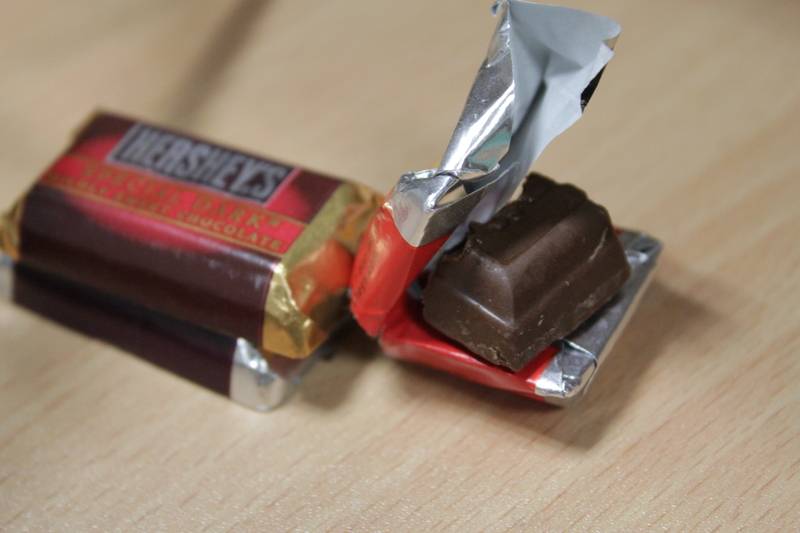 As soon as I entered office i spied my greatest weakness on my table. Chocolate!! I think some collegue probably went US and distributed it. the most unusual one amongst them was krackel which essentially contained raice crispies and milk chocolate. While i enjoyed the melt in the mouth smooth texture of the chocolate, i could barely smell ad taste the cocoa. All I could taste was vegetable fat and sugar. It is not milk chocolate per se but the chocolate wasn’t dark too. It was just very high in sugar. Quite disappointing in that respect 😦 Hopefully the dark chocolate will taste better. I wish i can bring myself to take photos during dinner with friends but it’s just weird to do it in front of friends whom you are not so close to don’t you think? SIgh, all those photo opportunities i missed 😦 oh well!